There is no doubt that we are in the midst of a digital and technological revolution. From cryptocurrencies offering a very valid alternative to traditional fiat currencies, to the far-reaching implications of technology such as Tangle and Blockchain, the future is looking rather exciting. Keeping up with all these new developments can be somewhat cumbersome, and it can also be a bit complicated because they are just so groundbreaking. Once such example is Hyperledger – an exciting bit of tech that is about to change the way which we do things seriously. In this guide, we will break down Hyperledger to different projects you should hear about and give you all of the information that you need to know. In layman’s terms, Hyperledger or the Hyperledger Project is what is known as an umbrella project comprising of various open source blockchain systems and tools that relate to them. It was created by the Linux Foundation back in December 2015, at a time when blockchain and cryptocurrencies were taking off. The purpose of the project is to support collaboration towards the development of blockchain-based distributed ledgers. Back in December of 2015, the Linux Foundation announced the launch of a new project that would be known as the Hyperledger Project. The members that founded the project were announced a little over a year later, and these were followed by the onboarding of two new members and the forming of the governing board in March 2016. Come May of that year, Brian Behlendorf was announced as the executive director of the project. The idea behind it is to promote the cross-industry collaboration of blockchain and distributed ledger development, with a particular onus on increasing performance, security and reliability of these networks, so they can support global transactions effected by global tech, finance, and logistics companies. The project would work towards the integration of independent open protocols and the creation of standards and a working framework that would support use-specific modules which would include blockchains having their consensus and storage facilities as well as creating services suited to identity, smart contracts, and access control and security. At the beginning of the project, there was much speculation that Hyperledger would work towards creating its cryptocurrency, but the executive director has stated that this is something that will never happen. Then in July 2017, Hyperledger announced the launch of Hyperledger Fabric 1.0 and its ICO was released to a positive response. By August, Oracle signed up to the Hyperledger consortium and released its Blockchain Cloud Service solution. Also, in 2017, the London Stock Exchange in collaboration with IBM announced that it would be using a Blockchain platform that had been specially designed to digitally issue shares to Italian companies and that Hyperledger Fabric would be the foundation of the project. By the end of 2017, The Royal Bank of Canada started to use Hyperledger for its cross-border US/Canada interbank settlements. At the moment, the Hyperledger project counts many leading international companies as a part of its consortium; these include ConsenSys, Cisco, Fujitsu, Hitachi, IBM, Intel, BNY Mellon, JP Morgan, Wells Fargo, SAP, Accenture, and Symbiont. Hyperledger has five different versions of blockchain platforms that have harnessed its capabilities. This is a blockchain client which includes a custom built Ethereum Virtual Machine. Created by Monax, it is sponsored by them as well as Intel. It works by including permission, smart contract interpreter which is built into the spec of the Ethereum Virtual Machine. The EVM is used to facilitate both cryptocurrency transactions and to execute smart contracts. It is written using the Solidarity programming language, and it works by using the EVM as the smart contract interpreter for contracts (not currency transactions) that run across the network. At the moment, Burrow is the only Ethereum based VM implementation on the market. The non-profit organisation the Sovrin Foundation created the Indy project. The idea behind it was to offer digital identities for users and to give them the decision as to who they share it with, if at all. Instead of creating entries in an extensive database, the user has their data and has the chance to deal programmatically with various organisations that wish to check an individual’s identity. It also means that companies do not have to store as much individual data and can instead just save a pointer to the identity which is stored on the blockchain. Fabric is what is known as a “permissioned blockchain infrastructure”, and it was initially contributed by market leaders, IBM in conjunction with Digital Asset. It provides a modular architecture that provides a delineation of roles between each node in the infrastructure. It also facilitates the execution of smart contracts and offers configurable consensus services. The Fabric Network also offers “Peer Nodes” which can perform the execution of chain code as well as access data stored on the ledger and endorse transactions. It also offers Orderer Nodes which work to preserve the consistency of the blockchain while delivering the endorsed transactions to other peers on the network. Fabric is aimed an integration type projects where Distributed Ledger Technology is needed and where there are no user-facing services present. “Fabric is the granddaddy, if you will. Several companies are already selling products and services that are based on it”. The project’s core is written the programming language known as GO, and a unique characteristic of Fabric is the fact that it is a distributed ledger and also a smart contract platform that allows for private channels. This means that even if you have a larger blockchain network and you want to share data with certain parties, you can create a private channel which is only accessible to those particular participants. This network is based on Fabric but has a particular focus on mobile applications. It is a bit of an outsider but has potential nonetheless. It was created by Japanese developers who built their blockchain for mobile use. It is written in C++ which lends itself well to supporting high performance for small data and focussed use cases. Some say that Iroha is still looking for its purpose in life, but it does have some promise. Developed and contributed by Intel, Sawtooth works with a unique consensus mechanism that is otherwise known as “Proof of Elapsed Time” which is similar to a lottery-design protocol which has built on Intel’s existing Software Guard Extensions system. The consensus is an essential part of all blockchains as it is the way in which new information can be reviewed and confirmed before being included as the next entry into the ledger. The technology that manages the consensus software works by targeting big distributed validator populations while using minimal resource consumption. It gives users the chance to build extensive networks of thousands of nodes without having the CPU burden of cryptocurrencies. Hyperledger technology lends itself perfectly to voting systems. By treating the casting of a vote as a transaction, a blockchain can be created which keeps track of the votes securely and efficiently. Using this method, there would be no dispute on the final total as the ledger cannot be interfered with and they can count the votes themselves. The security of the blockchain and the fact that it is tamper-proof due to its audit trail means it is a perfect way to track votes and ensure the result is accurate. Over the last few years, many people have turned to e-voting as a more efficient way of conducting the process, but unfortunately, this is open to abuse. Using Hyperledger and blockchain technology could speed up and simplify the process while reducing the chance of tampering. Voters could either use the internet or a specially created network that would still require voters to attend a polling station or even allow voting via mobile or laptop. 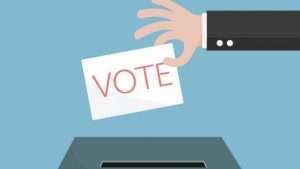 It also presents the option of trusting centralised authorities to run the system, or to use the blockchain to distribute an open record of votes between citizens. While this way of voting would be much more efficient, it would require some pretty revolutionary changes in security systems as well as politics. Take the example of a private equity firm – by its very definition, private equity cannot be traded on the stock exchange, and investors in such things are venture capital firms, other private equity firms, or angel investors. Those that participate in these networks need to be known for reasons such as KYC, DD and data protection. Using Hyperledger technology, transactions can be kept anonymous, yet the investors can still fulfil their duty to be open with other members of the network about their identity. There are many reasons why a business may want to keep specific information private. Competitiveness, privacy, and confidentiality are just a few examples. The channels function within Hyperledger Fabric allows data only to be exchanged between those that need to know. This creates an entirely secure environment where individuals can exchange data and information, and no one outside of that particular channel would have any idea who else is taking part in it. 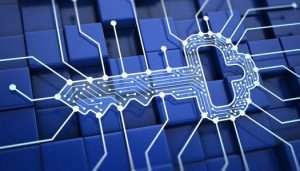 The support of a Hardware Security Module is an integral part of managing the creation and safety of digital keys for authentication. Fabric can offer both modified and unmodified PKCS11 for key generation for identity management. For situations where identity management is being tackled, the use of HSM increases the protection of both the keys and the sensitive data. The future of Hyperledger is looking pretty bright. The fact that it has been embraced by some of the worlds leading tech companies is no mean feat and suggests that its longevity is something that is as secure as its networks. Blockchain technology has already completely revolutionised the way in which we do things, and we have not even scratched the surface of what it has to offer. These five Hyperledger projects are just the beginning, and we believe we do not even comprehend just how much potential these bits of software could have for every area of industry, commerce, and economics. From banking to trucking, the legal system to governmental reform and voting- the sky is the limit, and there is a lot more to discover. With some of the greatest minds in development and technology working hard to various Hyperledger projects, it is going to be an exciting year regarding what is in store for us, and which other leading, global companies will give blockchain their vote of confidence by coming on board. For more information read our article on the different Distributed ledger Technologies.